After winning the Warangal East seat on a TRS ticket last elections, Konda Surekha has since defected to Congress following a fallout with TRS. It is early Saturday in Parkal town, but it is already buzzing with election frenzy. Right from the time you enter the village, there are groups of people dressed in pink, going door to door, campaigning for TRS. At the same time, a campaign vehicle plastered with BJP’s P Vijayachandra Reddy passes by blasting slogans on voting for the ‘Lotus’ symbol. Towards the end of the town, people walk in long lines holding the Congress flag, handing out its candidate Konda Surekha’s manifesto to on-lookers. The constituency of Parkal is gearing up for an interesting fight this election season. While there are 15 candidates in the fray from here, the major fight is between TRS and Congress. Warangal East’s sitting MLA Konda Surekha, who hails from Parkal has enjoyed popularity here in the past. In 2009, she contested from Parkal on a Congress tickets and won. She, however, defected to YSRCP and in the subsequent 2012 bye-election was defeated by the then TRS candidate M Bhikshapati. Surekha then joined TRS in 2014, but contested from Warangal East. The same year, in Parkal, Challa Dharma Reddy, who contested on a TDP ticket defeated TRS candidate Sahodar Reddy by a margin of nearly 10,000 votes. Challa Dharma Reddy has since defected to TRS and is the party’s candidate from Parkal. Incidentally, Surekha and her husband MLC Konda Murali are now back in the Congress after a fallout with TRS after she was denied the Warangal East ticket. She is now contesting from Parkal on Congress ticket. While it would seem that the return of Surekha to Parkal may make the fight extremely tough for TRS, her popularity seems to be dying down with many residents backing TRS, not just for Challa Dharma Reddy, but chief K Chandrasekhar Rao as well. “Konda Surekha left us and went to Warangal East and as per convenience is now coming back here. She never bothered about us or workers here in Parkal. Even if we went to her with our problems, she would say go to your MLA's constituency and ask and now just because the situation isn’t good there, she wants to come back, but no one has that kind of trust in her anymore,” says Darama, a resident of Parkal. “In fact, I was a supporter of Congress until recently. But I don’t want to vote for someone (Konda Surekha) who left us and is now coming back as per their convenience,” he adds. And it’s not just Damara, dissent is brewing against her in the area. Nearly a week ago, few residents of this town obstructed her from campaigning, driving her away from there. She reportedly faced a similar incident in Nadikuda Mandal as well. “KCR has implemented some good schemes and we have faith in him. He has helped old people like me through the pension scheme. If you talk about other schemes, he has been here just for a term and it will take time for his initiatives to take shape and I’m sure it will. My vote is for the car symbol,” says another old man, as he lifts his sweater to show us the TRS t-shirt he’s wearing in support. And Damara and the other youth present there agree with him. He says that the sitting MLA has brought in some good development to Parkal. “Dharma Reddy gave us an RTO office. There is central lighting now and the main road also has been done up well. He has started projects worth Rs 1,500 crore and once the election is over, these works will be completed,” another young man chips in. 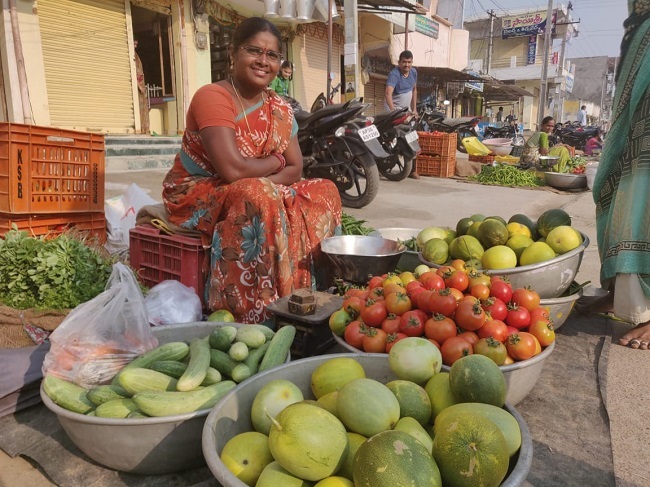 Further into the village, Bharathi Lakshmi, just setting up her little vegetable stall on a street, also says that her support is for TRS this time. “He (KCR) has done some good things for us like the Amma Vodi scheme, KCR Kits and Shaadi Mubharak schemes. We will definitely vote for him this time,” she says. KCR Kits Scheme is aimed at pregnant and lactating women and new-born babies. Pregnant women are given financial assistance of up to Rs 12,000 in three instalments. An additional Rs 1000 is given for a girl child. As per the scheme, soon after delivery, women are given a kit with clothes, baby soaps, oil, powder, mosquito net, toys, napkins, diapers etc. Rajita also supports TRS. “It’s not about Konda Surekha or Dharma Reddy. My children are studying in a residential school for free because of KCR’s scheme. The KCR Kit was also helpful for our new-borns. KCR’s party only should win, I feel,” she says. A crowd gathers as we finish speaking to Bharathi Lakshmi. Seventy-year-old Sammaiha says he will vote for the ‘Hand’ symbol only, since during his time Indiramma (Indira Gandhi) gave them houses and he has faith that if Congress come to power, they will too, give them houses again. But most of the crowd there disagrees with him. “We will vote for TRS. The Konda couple care about themselves more than the people here. With TRS, there is a promise of many schemes. Some of them have already started trickling in. There are many people without houses here. With TRS, there is a promise of double bedroom houses. So, we will vote for them hoping for that to be implemented. He’s giving Rs 1000 to old people. That is good too,” another resident Sambayya says. But the support for TRS is not unanimous. While most of the crowd that gathered at the town centre was in support of TRS, there were also strong voices opposing them for not being able to provide employment for the youth and for giving money to already rich land-owning farmers and neglecting tenant farmers. “Honestly, it is difficult to say. There is 50-50 support for Surekha and Dharma Reddy,” Sambayya adds. The fight in Parkala is definitely not one-sided. 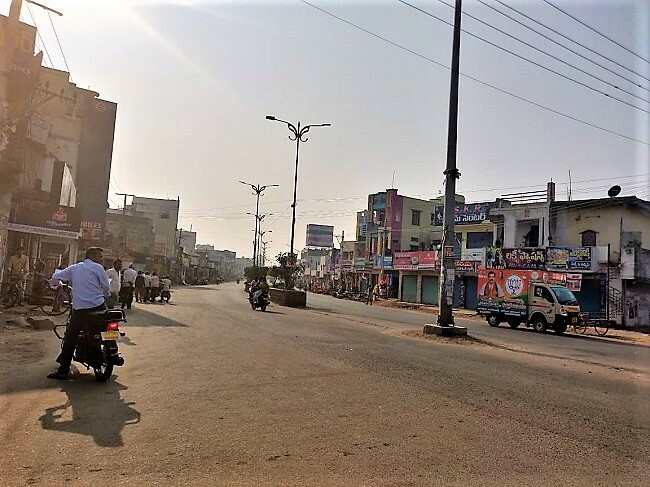 But with TRS garnering support of most residents in the town, especially of women, Konda Surekha – and the People’s Front -- will now face a tough fight from the sitting MLA Dharma Reddy in the upcoming elections on December 7.